While criticisms prevail, Seoul appears set on sticking with its new brand name and trying to improve public opinion of it. Seoul City will soon launch “Seoul Partners,” which will be in charge of managing the free commercial use of the brand. Once a private company signs a memorandum of understanding with Seoul Partners, it will be allowed to use the logo for commercial use, they added. Yes, I would hope that in a city with more ten million people, two individuals can ‘co-exist’. That’s a low bar, though – co-existing involves little more than going your own way and not killing or stealing from each other. Maybe sharing an elevator or a subway. That sealed the deal, apparently. Why is the Korean government so enthralled with English-language branding? The decision may well come down to the person at the top of the food chain decreeing a pet favorite is now the new city’s slogan. No Korean that likes their cushy government job is going to openly tell their boss what they really think of it, no matter how well they know English or how poor it sounds in English. If you look at the Korean in the way a Korean would read it – 나와 너의 서울 (na-wa neo-ui seo-ul) – and account for Korean word order, it can translate to ‘Seoul: Yours and Mine’. That’s a nice sentiment, and a passable English slogan right there. This is Korea, however – a country where right as I left it in 2013, the convenience store chain ‘Family Mart’ was rebranded as ‘CU’ (as in ‘C U later’ or ‘C U soon’). Don’t even get me started on the dreck known as K-pop, the robotic dance moves, the outlandish outfits, and the perennial ‘who were they again?’ question a ‘star’ from a year ago will receive today. Now that I’ve left Korea and it’s been a few years, it’s probably safe to tell. Seoul, summer 2010 – a few months before the November G20 summit rolled into town. Local media was abuzz over the high-profile event, about how this was the first G20 held outside a G8 country, about how security would be tight, and so on. As a travel blogger living in Korea, I was invited by the Korea Tourism Organization to help with the tourism boom expected as a result of the summit. Along with about 25 other foreigners with some sort of online profile / following, I got paid for attending the three-hour meeting (I think it was about 150,000 won, or $150) and stuffed myself silly on their catering. When we got down to business, the two emcee’s introduced themselves and told us our mission: to help create a guidebook of Seoul’s 20 best attractions. This guidebook would be given to delegates and entourages of the G20 Summit. 20 nations, 20 places. Clever. We were told a ‘preliminary’ list had already been drawn up, and we were here to improve it, as we were foreigners that knew Seoul well. I wasn’t familiar with all the personalities in the room, but after a round of introductions it was clear there were plenty of bloggers, authors, photographers, and other expats that had spent years in the country. The first few places on their preliminary list were easy enough – Gyeongbokgung (Seoul’s largest and most-restored palace from the Joseon Dynasty), Myeongdong (an outdoor bazaar sort of shopping area), the Seoul Tower (complete with express elevator to the top), and so on. I don’t remember the first stumble, but it was a place that the entire room asked ‘how did that make it on the list?’ We were familiar with it, but would never have recommended tourists visit there. While one emcee was copiously taking notes, the other pushed the conversation forward by tabling it and promising to return. A few more places were unanimously accepted – Dongdaemun (an older sort of shopping zone with lots of electronics and clothes), Insa-dong (a pedestrian-friendly road offering lots of arts and crafts), and Bukhansan (a mountainous national park with lots of hiking opportunities). Nothing too far off the tourist trail, and nothing they couldn’t have assembled from their library of literature. Another place (and I really wish I could remember) split the group. Some people thought it was too Korean or there wasn’t enough English around, while others thought it was a fine break from the beaten path. After 10-15 minutes of debate, the group decided to recommend a similar but more tourist-friendly place instead. It’s at this point when one of the emcee’s begins to visibly sweat. He tried to move the conversation forward, saying ‘we’ll take that into consideration’. By this point, however, there had been a debate and a solid consensus from the group. Someone asked why it needed to be ‘taken into consideration’, and were we just here for show if our suggestions won’t be listened to. The truth came out moments later. The emcee informed us that this preliminary list was the list. The powers-that-be at the Korea Tourism Organization had already drawn it up beforehand, and we were expected to rubber-stamp it to give it a foreigner ‘seal of approval’. After the initial shock of how worthless our opinions actually were, I did a quick bit of math – $150 x 25, plus whatever the emcee’s got paid, plus catering costs? The Korea Tourism Organization likely spent at least $5,000 that night just to get that foreigner rubber-stamp of approval. The result? I couldn’t tell you. I never saw the final booklet, never heard anyone talk about it, and never heard any media reports about it. My best guess is that it disappeared down the memory hole. 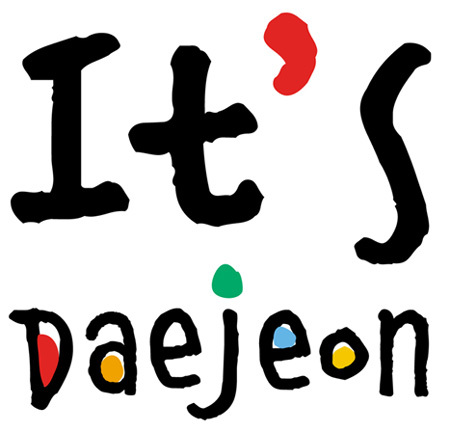 Despite the near-universal dislike by Koreans and non-Koreans alike, the slogan won’t be changed. Beyond the matter of causing the powers-that-be to lose face is the matter of having to go through this entire bureaucratic process again. The powers-that-be will look into creating a newer, fairer process. They’ll resolve that the expert branding company wasn’t up to snuff (if no one has a financial interest in the company), or did a fine job and ought to be retained (if someone does). While it has little chance of being used, I’d suggest that there always be a ‘none of the above’ option during the preliminary phases. Forced-choice exercises push people into the ‘least-worst’ option, and that ‘none-of-the-above’ option gives people an out. Data manipulation and spin. They’ll cherry-pick tourist surveys to discover the slogan was a success, or when that fails they’ll simply disregard or throw out enough non-compliant responses to show the powers-that-be. A survey company not producing the results they want doesn’t get invited to try again. What people say and what people do will remain worlds apart. Panelist Seo Kyung-duk said of the process, “It was very meaningful that Seoul citizens participated in the whole process from making to selecting the new slogan.” Of Seoul’s ten million plus population, only 682 people at a single event chose that particular slogan, with public participation limited to two of the five phases. The name of the city has been part of many puns and jokes. This time, the city has brought the joke upon themselves by turning ‘Seoul’ into a word that could literally mean anything. I found this to be the case in Korea regarding asking foreigners for their opinions. It seems as if Koreans decide, and then ask us, foreigners, out of courtesy. It’s a slap in the face, the way I see it, but perhaps in Korean culture, the decision is focused more on having group harmony, and not making foreigners lose face, or perhaps make them feel involved. It’s a clash of cultures, in my opinion, as I can’t actually accept that they were in it just to throw money away, or waste time. I always got the feeling that they don’t really care what we think, but foreigners; especially ones who live in Korea, enjoy a sort of celebrity status. So they get us to “rubber stamp” or endorse things, or put our faces in the posters/advertisements/etc. to make it seem more popular and global. Plus, if there’s a mistake in the translation, language, w/e, they can always say, “Well the foreigners said it was fine.” and cover their own butts. I thought the “Seoul Mate” one was pretty clever with the typography. Agree – the notion of a city being your ‘mate’ in some way is a little creepy though. We’ve all seen that there need not ne correlation between Korean and English versions of labels. So let’s not construct too much from that. The newest is surely bettervthan “Hi Seoul” and pretty much anything else floating around in Korea. I could see this catching on! That’s true – it’s definitely been thrown around a bunch on my Facebook feeds the past couple of days. That said, the average tourist isn’t going to know or be able to read the hangeul, let alone be concerned about what the Korean version means.